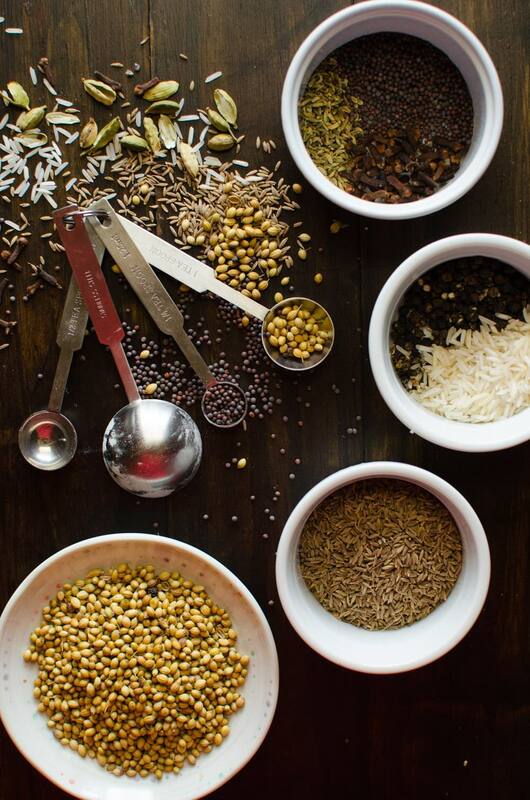 The base for any delicious curry recipe is the curry powder. 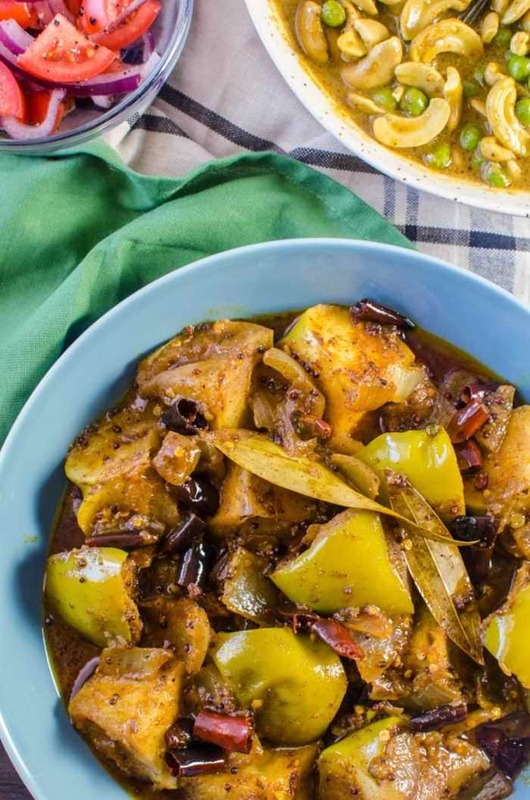 This Sri Lankan roasted curry powder is deeply aromatic and has very robust and complex flavors. The ingredient ratios are easy to remember (4:3:2:1 and 3:2:1), so go ahead and make a big batch and use it any way you like to make flavorful curry dishes! Learn how to make AUTHENTIC Sri Lankan Curry Powder! Everyone (or at least most people) has their go-to recipe, their go-to meal, the one that they love to make, the one that’s a breeze to make, the one that they use the word comfort to describe. For me, that would be a curry. A Sri Lankan curry to be exact. I have lived most of my life outside of Sri Lanka, but my childhood is inextricably linked to everything that is Sri Lanka. Especially the food. Oh, the food! 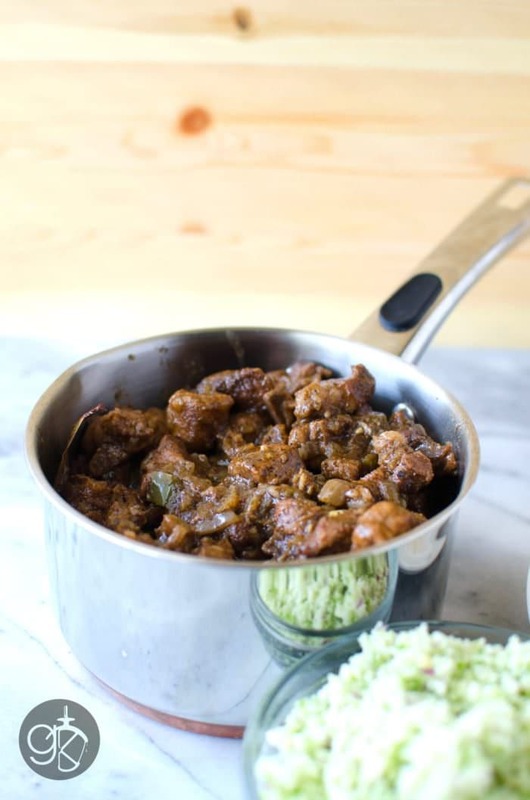 Nothing hits the spot for me quite like a Sri Lankan curry, and that doesn’t come as a surprise, considering the staggering amount of flavor one could coax out of a well-made curry. Everything else pales in comparison. And at the heart of all that is the roasted curry powder. I’ve never had a shortage of authentic Sri Lankan curry powder (including the store-bought variety), until we moved to where we live now. 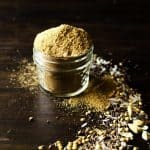 Since then I’ve taken matters into my own hands, and if you’d like to smell and taste the magnificent aromas and flavors of a straight-up, authentic Sri Lankan roasted curry powder, then you should truly make it yourself. It’s easy, the spices and flavors are more pronounced, and the aromas will make you swoon (quite literally – I do recommend that you crack open the window or door, or have some decent ventilation, because for someone not used to these aromas they can be both incredible and a little overwhelming). 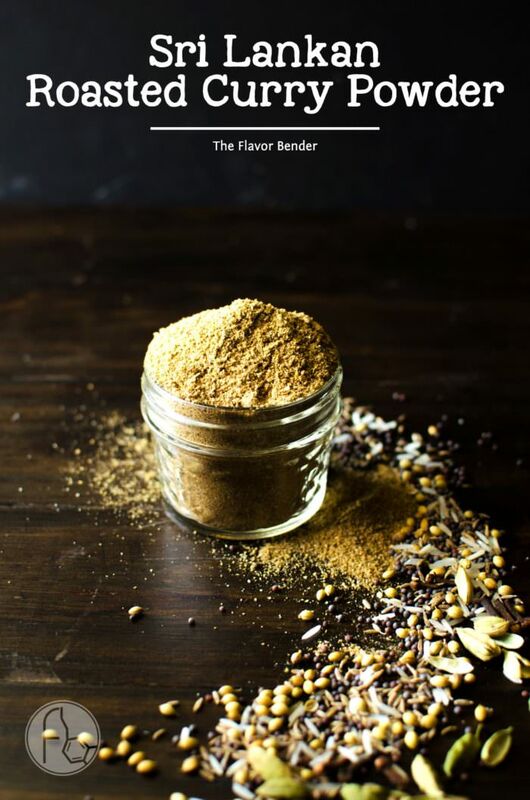 And here’s why my roasted curry powder is different from any other recipe out there – the recipe is super easy to remember! The ratios are easy to remember – 4:3:2:1 and 3:2:1. That’s 4:3:2:1 in tablespoons and 3:2:1 in teaspoons. 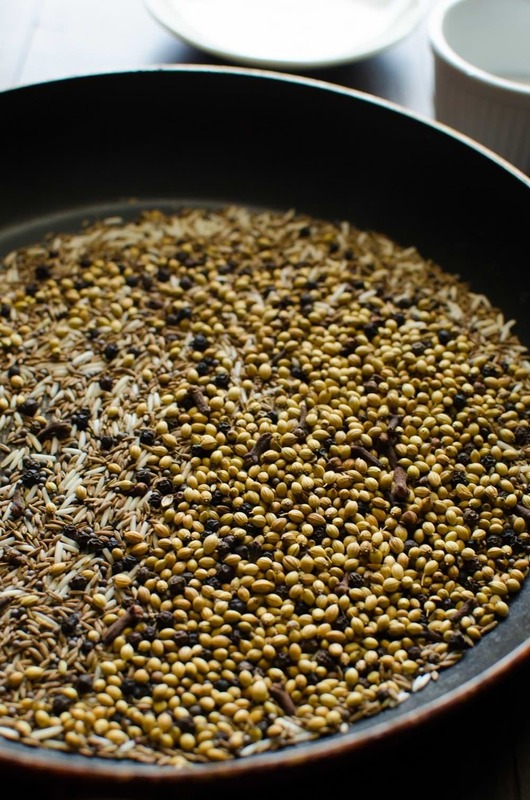 Coriander seeds are the main spice in Sri Lankan roasted curry powder. Another is black pepper (as opposed to chili powder). 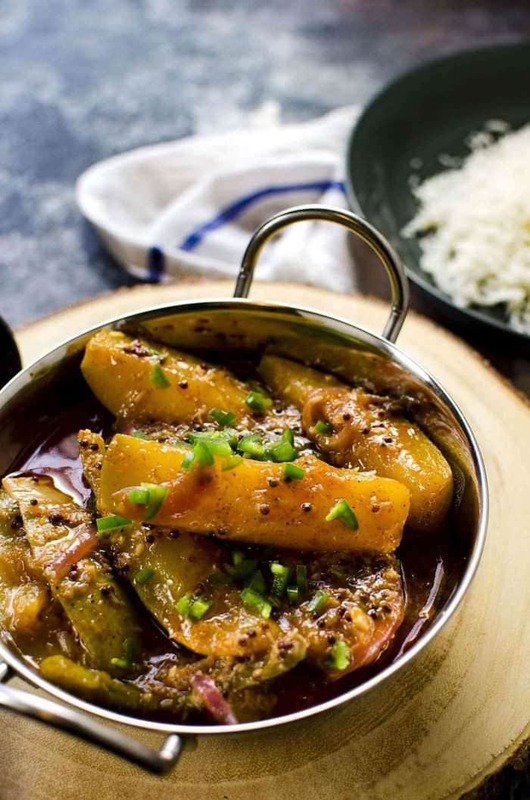 Black pepper is what gives this roasted curry powder its heat. However, most people also use a lot of chili powder when they make curries which obviously adds to the heat. So here are the ingredients and the ratios. 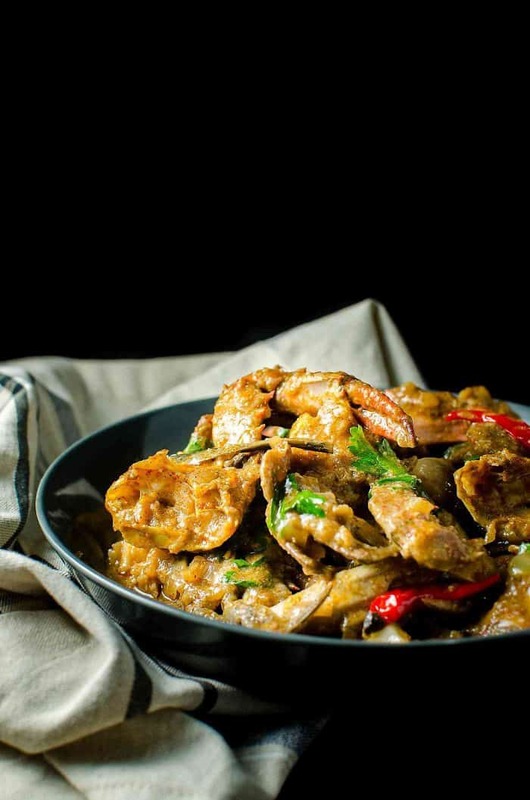 As you can see, a good curry isn’t all fire and brimstone – it’s got a lot of subtle, fragrant yet robust spices that add a lot of delicate and nuanced flavors. This Sri Lankan roasted curry powder is first roasted till it’s nice and toasty, and then ground to a find powder. Dry roasting spices can transform an otherwise not especially exciting spice into something a lot more intense and complex with great depth of flavor. Such roasted curry powder is typically used in meaty dishes – where the meat can withstand that robust curry flavor. 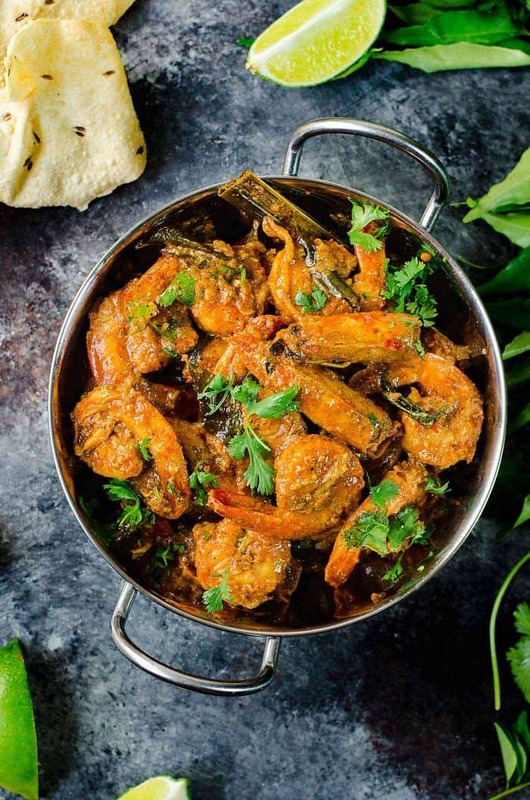 With more delicate meat like fish or seafood, you would use UNROASTED curry powder (which has a more delicate flavor), with the addition of a little more fennel and an acidic component like tamarind or lemon/lime. With a curry powder this simple to make, you can easily make bigger batches too. And once made, you store it in an air-tight container in a cool, dry place. Also note, that I used green cardamoms as seen in the photos. Black cardamom is much larger than green cardamoms and have a different taste. 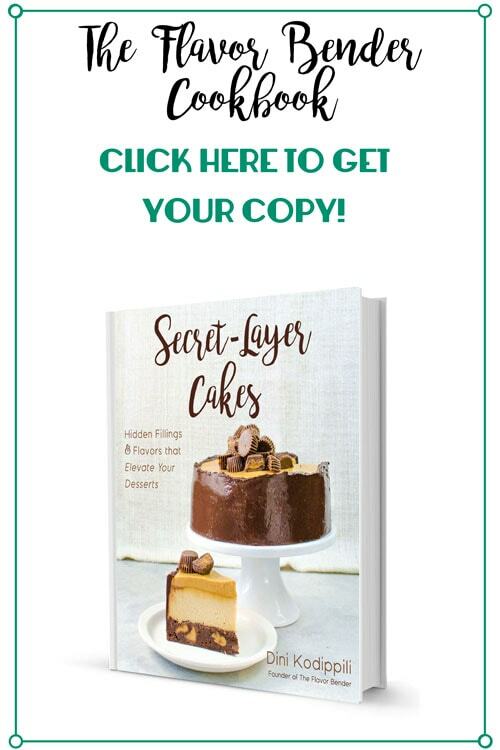 They are not interchangeable in this recipe. If you liked this Sri Lankan roasted curry powder recipe, don’t forget to subscribe for new (and free) recipes by entering your email address on the side bar (and get all these recipes delivered straight to your inbox), so you don’t miss out on a thing. You can find me on FACEBOOK, TWITTER,INSTAGRAM, PINTEREST, YOU TUBE and GOOGLE-PLUS too. Place the rice on a dry non stick pan. Heat over medium heat until the rice starts to turn light brown. Add the rest of the spices and pan roast for a further 3 - 5 minutes until the spices start to brown, toast and become aromatic. Keep moving the pan to prevent the spices from burning. Remove from the heat and let the spices cool down. 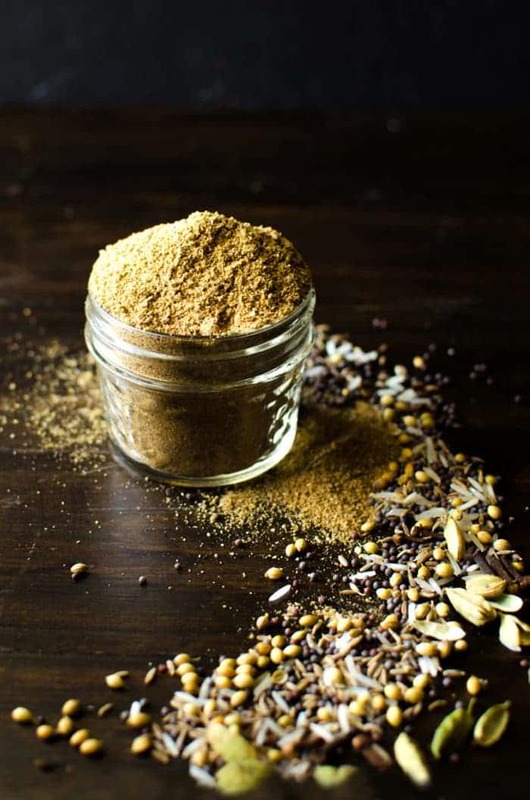 Once the spices cool down - use a spice grinder (or a mortar and pestle) to grind the spice mix into a powder in batches and mix well. Store in an air tight container. I usually make a double batch because we make a lot of curries at home. I personally prefer making small batches every time to keep each batch fresh (as opposed to making one large batch and keep it stored for a long period of time). 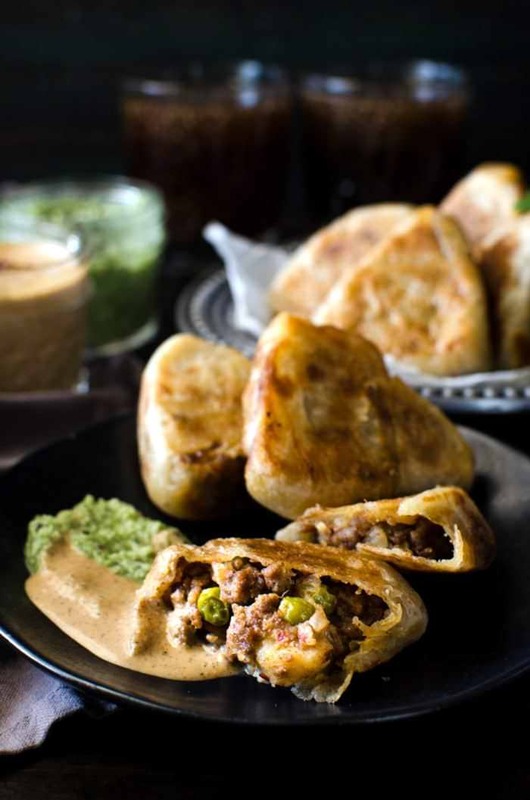 If you’re a fan of flavor-packed curries and Sri Lankan food, then you may love these recipes too! Hi, I am a student at York University in Toronto, Canada. 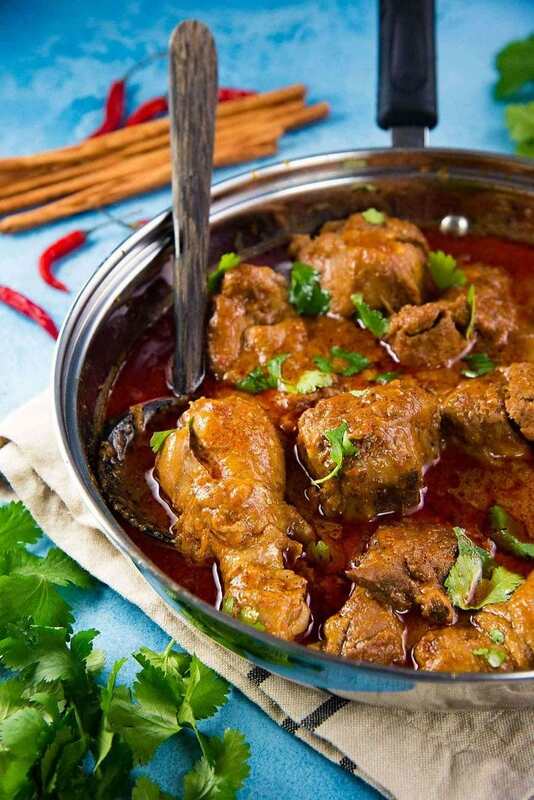 Thanks for sharing this recipe, I am writing a 4000 level essay on your Chicken curry & spice . When you say “2 Black Peppercorns and Uncooked Rice” what does that mean? 2 of each? or mix peppercorns & rice together 50/50? or what? I don’t understand. Also – just normal Basmati rice? Yes, it’s 2 of each, 2 tbsp of black peppercorns and 2 tbsp of rice. This is mentioned in the recipe. And yes, it’s just regular uncooked basmati rice. Again – thanks for the very speedy response. I notice you have updated the recipe! That’s excellent service – well done. 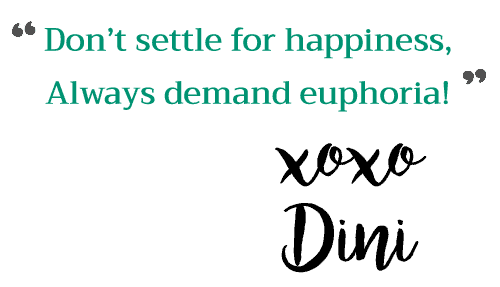 When I find an error in an online recipe followed by comments, and no one else has noticed – I wonder what I’m doing wrong – am I being nit picky! Black/green cardamoms not being specified is very common, as is items in the ingredients that are not mentioned in the method! Hi – looks good. One question – black or green cardamoms? Might be worth changing the recipe – black ones would make quite a difference! How much meat can this be used with? This makes roughly about 1/2 cup of curry powder. Which lasts me about 4 – 6 curries, depending on how I use the curry powder. Thankyou, stank the house out but really worth it, delicious. Psst. Telling people that a crucial ingredient to their cuisine stinks is pretty offensive. The house didn’t stink – brought back memories of mum’s cooking of yesterday years. Also the aroma helps clear your sinuses. Thank you for the tips. Definitely i will try. What an informative post!! I love how you went way beyond the recipe and explored technique, too. I love spice mixes so this is right up my alley! Don’t you just love the smell of the roasting spices and of course the fun popping sounds. Great little combo of spices and I have everything in my home to make a batch right now. Just pinned! 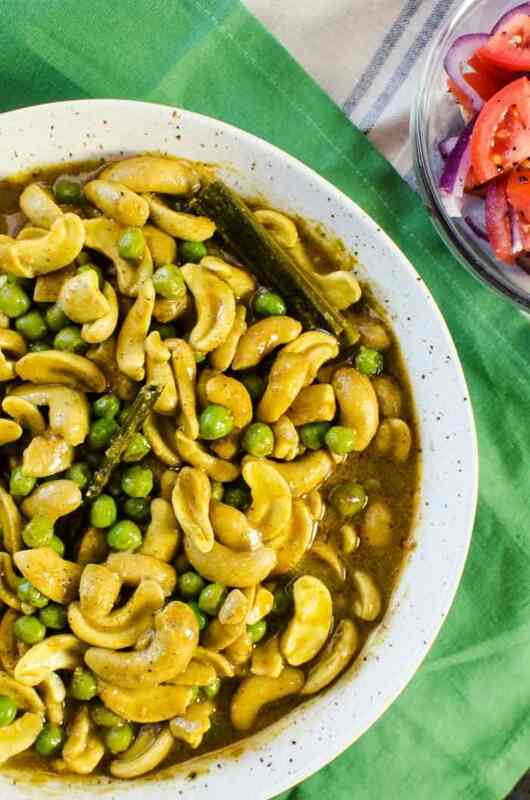 Dini- I love curry and this sounds amazing! Thanks for hosting another fun filled party! I have just recently started eating curry and I still only used a golden curry paste from a jar. I think I can make my own now and I’m sure it will be 1000 times better! Love the new site too!